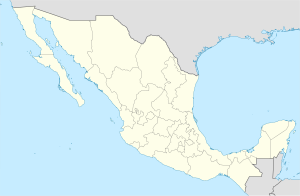 Xalatlaco is a town and municipality in Mexico State in Mexico. The municipality covers an area of 93.23 km². It is one of the 17 municipalities that border Mexico City, bordering the capital city's southwest side. As of the 2010 census, the municipality had a total population of 26,865 inhabitants. This page was last edited on 21 March 2017, at 16:45 (UTC).